I did not mean to tease. It was not a big media stunt to announce that I was going to post something big on 3/13 and then not follow through. I talked to a few people who advised me against doing it. And then I talked to Kristen Lamb who wrote this blog in response to my dilemma. Yeah, the thing I planned to write was something that was going to offend somebody. And even though Kristen said “every word of my post” was “illuminated in excellence,” she also said it wouldn’t be smart to post it. I have wrestled with this: how much of me to share, how much to keep private. If you’ve been here for a while, you have seen me dance, heard me talk, read emails I have received, been with me when I fell down a flight of stairs. You’ve been stuck in elevators with me and seen me fret over students who cheat and students who bully. You’ve seen me meltdown. You have come to know me as a parent and a teacher. And, of course, a silly doofus. This other piece of me — while it is decidedly me — isn’t right for the blog. Kristen helped me understand that being mindful about what I put out to the world does not mean I am weak. That choosing not to publish my piece is not an act of cowardice. I can still write pieces like the one I had planned to post here today. It doesn’t mean that everything I write has to be published here. What do you think? Is your life an open book? Will you write about anything? Or are these places that you are not willing to go? How do you determine your boundaries about what you share and what you keep to yourself? If you feel cheated and would like to read one of my favorite old posts that got very little traffic back in the day, click here. This entry was posted in When Life Doesn't Fit in a File Folder and tagged blogging, Choosing not to post everything, Kristen Lamb. Bookmark the permalink. I will write about virtually everything, but there are some things I won’t touch on at all. Sometimes I wonder when someone will see the “negative space” and comment, but there’s so much else to write, I think it’s possible that will never happen. I’m sad not to be reading it because I do love fuller glimpses into my friends, but I definitely understand and appreciate Kristen’s advice. Sorry to disappoint, but Kristen’s comments made a lot of sense. I stoof to offend and potentially lose readers. If you really want to know what it was about send me a message, and I’ll tell you. I know I don’t have to tell you that the decision about what and when to post is all yours. Personally, I had hoped to learn a bit more about you, even if it is a sharp corner I find rather than a round edge. It wouldn’t have changed my opinion of you, and I will always respect your judgement. So I’ll just (re-)read the post you’ve linked and think about the things that I cherish. You, my great friend, being one of those. Thanks Christian. You know I cherish our cyber friendship. Also you know that I am going to write that thing for you. As far as this post goes, I think I’m going to try to find another place to submit it. I know you are my friend, and while I wait excitedly I’ll continue to push myself to post. Building (and changing) habits can be tough! If you do find somewhere to publish that piece (and you totally should get paid for it! ), please let me know. In the meantime, can you give me a topic to write about in an upcoming post? I’m going to ask a few people to just give me a prompt or a question to answer to keep me focussed. There are few things I won’t touch but there are a few. I think you chose wisely my friend. Thanks El. I know you and I discussed this at length and we went from PUBLISH to PULL BACK. My goal is to grow my readership, not to polarize people. You have no idea. Well, actually you do because you expressed it perfectly in this post. I struggle with this so much that it slows down my progress on my blog. There are some things I’m wanting to write but they don’t fit the tone of my blog. At hospice, I work all day around grief and dying and I want/need to write about some of it so badly. And on the personal front,there are some things I want to put into words but I’m afraid that in a moment of bravery I’ll post them. My reality is that I’m a private person at heart and I don’t ever want to feel like I layed my soul to bare for the world. Because I think, at the end of the day, it would bother me for my coworkers and around-town friends to know my innermost thoughts. For me, I’m still trying to figure all this out. Your heart, compassion, and honesty are amazing. I’m still thinking over my response to your post last night. Honestly, I am going to try to find a home for it in the real world. But if you would like to read it, I would send it to you. Or at least tell you what it was about. This is interesting as I have something rather personal I’m going to put up either today or tomorrow, only because I think it might help out other people (it’s just depression related, something I’ve written about in the past.) But I also have a more personal piece I didn’t feel comfortable sharing, seeing as people I “know” read my blog, so I put it up on Band Back Together, as that’s a safe community for me. I still struggle with how much of the dark side of “me” to share, but know that some things are helpful for others to read and some things are helpful for me. But the difference is that those posts wouldn’t offend someone else personally, something you kind of hinted to in this post. I call myself out, but I don’t think I would ever intentionally call out a person I “knew” (not a celebrity or something) if it was something that should be dealt with away from the public. Since we don’t know what it is, I guess I would say that if you put yourself in their shoes, how would you feel? Regardless, it’s good you’re doing what you feel you should do. No regrets with that. I think the message of the post would have been lost because the issue itself is very controversial. I have written controversial things before, but this one had politics and religion all wrapped up in a bow. Who needs it? How does it benefit me? It doesn’t. I don’t want to have people remember as that girl who wrote that post about such and such. Not worth it on my blog. Ah. I was wondering why Kristen posted that. Seemed out of the blue. Yes, the Queen wrote a blog for me after we had a very interesting political discussion and learned lots of interesting stuff about each other. And yes, we have to be discerning. I am really glad I didn’t post that piece. I did write about things that were too personal and it was a terrible mistake. Even though you all don’t know who these people are in my life, they wer not happy to see my thought in a blog.It caused a major falling out in my family and even though I apologized and asked for forgiveness publicly, it caused a rift that continues a year later and I don’t know if will ever be mended. Yes, some things are too personal, even your own thoughts about things, let alone about people. Be very prudent about what you write. I have a private blog to release those feelings that i need to get out and if I need to vent, I go there. That;s been the best compromise for me. So you understand then, the costs, the risks involved with saying it all. This post wouldn’t have hurt anyone except myself and my own readership. I might have lost people. But the reality is the world is not a worse place today for not having run it. And frankly, I wish people would scroll back and look at what I wrote last night. That is almost more disturbing than what I was going to post here today. Anything that requires that much soul searching…shouldn’t be published. I have read a couple of posts on twitter that were removed by the author very soon after posting. I’m certain that they were sorry that they ever put it on twitter. Those are probably words to live by. And, as you said, Twitter has a life of its own. I don’t do political or issues cartoons. Folks visit for quick scan or read and a chuckle. Comments have become playful and interactive and subs increasing. Stay with what works. I participate religion, politics, issues, controversy on other people’s blogs that do that but keep my house simple, clean, wholesome and unoffensive. Blog is fun. Crusade a whole different matter. It wasn’t a crusade. Or a rant. I just think the whole topic is a hot button for people. And I would argue you get away with a lot of stuff because you use HUMOR. An image that makes people think, maybe smile, maybe giggle. This would have been my typical discussion of a topic, but it is a hot topic. Life is not an open book–not mine, not yours. I thought about the post you had warned was coming, wondered what it could be, even remembered over the weekend that it was coming– quite a feat for me given the week I had. Am I disappointed? Do I feel teased? Will I cease reading your blog? No. No. And, no. I have even more respect for you, that you reflected, asked counsel of those who know you best, weighed options, and went against what you earlier desired. It takes great courage to change one’s mind in a public forum. Bully for you–going either way shows the courage of convictions. Thank you D’alta. I so appreciate your words. But what if I had posted it and you were horrified and then you unsubscribed. What would that have gotten me? I would have been a stupid girl standing with her pants around her ankles. I would have never want to lose you or any of my readers. I want you all to be around when I finish my book so we can cyber Squeeee together! Even if not everyone buys my book (but seriously, why wouldn’t they? ), I love the relationships that I have formed with people here. I wouldn’t want to risk wrecking that. Renee, At my age not much horrifies me… However, I love that I will get to go Squeeee with you someday!!!! Brava! It is definitely not an act of cowardice, Renzay. It is what’s right for you. If only more people (and I’m not actually talking about bloggers, here) would reconsider decisions based on what’s best for them and their community. I don’t come close to blogging about everything in my life. I’m honest on my blog, this is true, and my life may appear to be an open book, but there are layers. I think teaching presents the most interesting of that dilemma: you have to be open and honest, or no one will trust you. But you must also be careful and private or you’ll be ground in to burger. Figure out how to do both at the same time and you’ll be just fine. Hi! And honestly, that’s a piece of it , too. I think the President of the college reads my blog. Sometimes. Maybe. Well, what if she didn’t share the same views? What if my Department Chair didn’t? Or people in my Department? I’m telling you, there was nothing positive to be gained from this. Just a big, fat train wreck. I agree that it’s a mistake to blog indiscriminately. I’ve certainly posted personal things that were hard for me, that I was doubtful about, but nothing that I would consider offensive. I don’t think it’s nice or wise to be purposefully offensive. I definitely don’t share everything about myself or what I’m thinking. Thank you. I have never had a problem with this before. It was just this issue. An old photo floated into my life, and it seemed blog worthy. But I’m really glad that I listened to Kristen. Oh, look there she is. I’m getting your reply just as I’m finishing up a post for tomorrow about how I’m not as nice as I want to be. Not controversial, but personal. I’m thinking that some of these things are helpful to blog about – in my case, I’m able to work out what it is that I want and how to get there. Readers generally offer support and their own stories that help me on my journey. Not a bad deal at all. I think Kristen made a great point in her post about uniting people and not dividing. I have felt a lot of camaraderie with others in just knowing that we’re not alone, that we’re not the only one who has felt or acted in a certain way. You hate to mess that up! I fought a troll for you! Your post actually did a lot of good, I feel because it forced me to teach in an area I generally avoid, but that a lot of writers really NEED to understand. Our brand is a conscious effort and crafted art and every piece should be as deliberate as possible and lend to the aesthetic and art of the identity and community we create. Funny how all I wrote was a post about brand….and then Woman-Bashing Troll popped out of the woodwork to taunt me a second time. Kn—-igggit! But seriously, Kristen, thank you for helping me to avoid a disaster. Because it really would have been. And you stopped that train. It’s really hard to make the decision NOT to post something. I think it actually takes more courage to withhold an opinion than to present it, sometimes. In that sense, I am proud of you for not posting, and I don’t feel cheated at all. These things happen. Cheated? No way! Good for you for taking the time to really dig deep about this, get advice, and listen. And, thank you for posting all this. As a newbie blogger, I’m learning so much and I appreciate it so much!! Carrie! I am seriously starting to fall in love with you! You say all the right things and exactly the right time… (wait, that might be copyrighted material). But I appreciate your support. I don’t have any problem making fun or laughing at myself. That is what I do. I don’t ever write about religion, politics, or any serious stuff where I may be perceived preachy or offensive, so I guess that’s a side of me no one will get. Not that I am EVER offensive! Hahaha! You couldn’t possibly be offensive, Susie. But you are right, Susie. Why didn’t you tell me this? Duh! Renee, I respect your decision greatly. It’s not cowardly to weigh the pros and cons, to consider how such a piece would impact your platform, and to further consider what pieces of you are best kept private or in another forum. My life is an open book only to a point. I’m very careful in how I write events from my childhood, knowing that my parents could feel hurt (even though I regularly assure them that they did an awesome job raising me). I also think twice before writing about events in other people’s lives that impact me (i.e. their illness) because my blog does not give me permission to air their private matters. I also tend not to share in-the-moment struggles because it doesn’t fit with my introvert personality- I process privately, then share with my inner circle if necessary. It only lands on the blog if I feel it could ultimately be helpful to others. Hi Leigh. And I think that is exactly the right venue to write about or explore those feelings. But it was a political issue that is very black or white for people. I got on it partly because it is an election year. I’m glad I didn’t post it. I wouldn’t want to be remembered for that post. And anyway, head lice will always be my number 1 post. No one should think it is cowardice for choosing not to post something. However, I don’t think that posting your thoughts on a matter is necessarily a bad idea. There is a big difference between a writer who uses their writing platform to constantly state their religious/political/otherwise views, particularly when doing so puts down another’s. But a well thought out piece expressing something about who you are adds layers to who you are as a person and a writer – which I find interesting. There are writers that occasionally rant about issues that I may not agree with, but if they are good writers, I appreciate seeing their point of view. I’m especially impressed when I DON’T agree with them, but they write in a way that keeps me interested. I don’t know what your post would have been, or who it might have “called out”, so I trust your decision not to post is the right one for you. But I certainly hope that writer’s will continue to use their platforms to voice their opinions from time to time. Keeps things interesting. There are religious bloggers out there – so they write about religious topics. Visit them and you have to know what you are getting into. I think this would have blindsided people. Like when people get voted off SURVIVOR and they never saw it coming, except that I warned you. I’m of the mindset that this is your blog, you get to decide when and what to post and are entitled to change your mind whenever you see fit. I rarely touch politics and religion on my blog because I’ve done the debating enough in real life, I just don’t want to invite it to my blog. I don’t mind reading others’ opinions though. I’ve done the debating enough in real life, I just don’t want to invite it to my blog. I think you just said it best. I don’t want to invite it to my blog. No matter what I would have had haters. Who needs it? I have been following your blog for a while now, and you are right, you do garner very thoughtful responses. I have never seen you write about anything overtly political. When you THINK you are being controversial you are simply showing people another way that people live. This just wouldn’t have been good. Trust me. I can relate. As a humor writer who enjoys poking fun at life, it’s always a challenge deciding what and how much to poke. Sometimes it’s a hard call, but if there’s a chance that something I’ve written will hurt someone’s feelings, I delete it, not matter how funny I think it is. For me it’s not worth the risk. That said, I’ve unintentionally offended people in my posts, but we can’t control everything! Comedy seems like the place where people take even deeper risks. I’m me, safe behind my computer screen. But if you have to get up on a stage and try out new material – and you offend people. Oy. That would be scary. But it is a comic’s job to try out new material. To see what is funny. And funny is ever changing. This piece was about an old fight. Like I said in an earlier response, I will likely try to find a home for it in another venue. Sometimes I wish there was somewhere I could write everything I want to without repercussion. So I bought a diary with a lock on it. (We’ll discuss the unconscious implications of losing the key later.) And sometimes I write things on my blog I shouldn’t. I need a bigger lock. How does a woman who’s not even 40 yet have Kristen’s wisdom. I rode to a conference and back with her last spring, and she advised me then to quit blogging about politics because half the people who read my blogs would be offended or at least want to argue with me – and she agrees with me on politics. It was excellent advice. My blog had about three readers back then, but it’s grown since I quit that. I do blog about Christianity, but I try to do it in a way that my love shows stronger than my need to be right. You couldn’t kill my feelings for you and your writing, and I sorta wish I could sneak a peek at whatever you didn’t post, Renee, but I respect your decision not to do it. David: If you REALLY want to see it, I’d share it to you. Send me an email if you REALLY want to read it. But keep in mind, I’m telling you in advance — it does not fit with your politics or your religious beliefs. You’d have to know this going in. And I know this because Kristen and I went over it together. I heard a pastor once say that he doesn’t like to use celebrity mistakes as examples in his sermons for a couple of reasons. 1) They’re people like you and me, and the only difference between them and us is that their mistakes get put on the news. 2) He doesn’t want the fact that he put them on blast to make a sermon point to stop them from wanting to know God or from getting help/advice from him and the church. In essence, he was showing love for people he didn’t know and planning for future relationships as if they were real now. Maybe that’s what you did here. I feel kind of good about the decision, too. Not everything needs to go on the blog. There have definitely been times when I’ve had outstanding material for my blog that I was dying to write that I knew, if read by some of my friends or family, would have hurt feelings. So I didn’t post it. It’s not in my nature to risk hurting someone at the expense of getting my point across and if it was something I wouldn’t say face to face to people, I wouldn’t post it. Now I do post some pretty strong opinions about impaired driving that I am sure offend some…but to people who choose to drink and drive, I HOPE I am offensive. LOL! It’s about weighing what’s right for you? Who do you want to be? Would you be upset if a potential employer read it? Or if your BFF read it? It’s about knowing what kind of blog and blog voice you want to be known for. Once you weight everything, it’s about doing what’s right for you. And it sounds like you did. I respect that! I believe 100% everything I wrote. It’s just not worth offending people here on my blog. I don’t want to open myself up to haters, have to start messing with control settings, have stalkers following me around. I’m not kidding. That’s what trolls do! They harass you if they don’t like your message. This was a hot button topic. I would have had people fighting with each other. And they may not have ever read the entire post to get to the message part! Because there was a message. If the piece had something to do with my platform or my book, I would have posted it. So it didn’t make sense. Thanks for your words. Melissa! I’ve known you since 6th grade. I don’t think we’ll ever lose each other. But there are over 2,000 other people here since the day you were my very first subscriber. I have to think of what I’m doing. And if you REALLY want to know, email me or Facebook me and I’ll share the text with you. As Oprah once said (thought I think in reference to buying clothes) “If you don’t know, DON’T.) I think you made the right choice! Renee, I keep religion and politics on the down-low over at More Cowbell. My friends and family can hear all my rants if I want to give them and the fact is, I don’t bring that stuff to work. Whether it’s writing or the day job, it’s just not professional. Plus, y’all are my pals and I don’t ever want to offend you. Tough one. Ultimately, I agree …if you’re not sure…don’t. And I can say, you don’t have to post everything on your blog. It’s yours..do what ya want with it. That being said, I’m fairly confident that no matter what your blog was about, even if (the readers) didn’t agree with you, we wouldn’t ditch ya. (Okay, maybe I’m speaking for myself) But sometimes a little controversy is a good thing…just sayin’. Of course…your right that it’s not worth stirring up the trolls and haters. Hard choice, but it sounds like you made the right one for you! And THAT is what matters when it comes to your blog. Renee… In no way should anyone ever feel cowardice for not stating something in print. Personally, I’ve read many of your posts and there is one in-particular that took tons of courage. You are NO coward, Girlie!! My grandmother had this saying that she would utter a lot ~ “when in doubt, don’t”. Now, in no way was she implying not to take a risk; however, if you really have to question as to whether or not your will hurt someone, maybe you should let it be. Not knowing what the topic was, I don’t really know how to comment to that specifically, but I really agree with what Amber West stated in her comment to you. As writers, I feel that we need to be able to say what matters to us, whether each reader agrees or not, but it needs to be presented in a manner that will make the reader think, not turn off. We learn about the writer, and we learn about other beliefs. Hopefully, this would lead us to be more open-minded. Amber wrote a lovely blog where she reference this post, which I really appreciated. And thank you for your vote of confidence, Carol. It means the world. To post or not to post. That is the question. 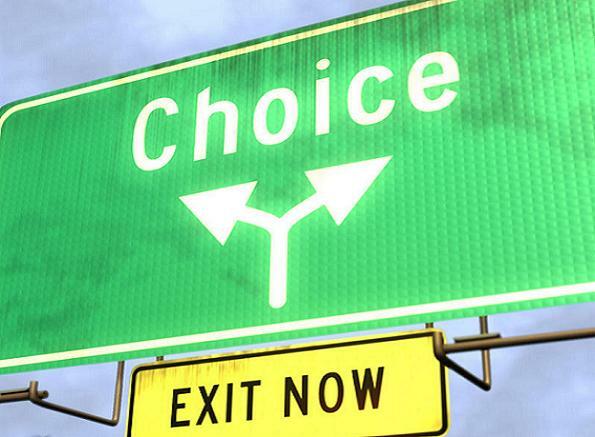 The choice is always yours and it sounds like you made a choice that is comfortable for you. You brought up some good points about the benefits of staying quiet. There is actually an amazing book that talks about the strength in introverts. It does not mean they are shy, just that they do not need to pull attention from all ends to get their point accross and to be strong. I admire you for doing what is comfortable. I am not sure I could do the same. Once again, you have taught me something. Thanks darlin’. I’m hardly an introvert. This was about being discerning. I don’t always have to publish everything. Some layers of me are for me. You teach me new things all the time, too. Wow, tough one. Generally, I aim for the “if I wouldn’t say it to your face, I won’t say it” rule of thumb. I avoid politics and religion because neither are the point of my blog. And I’m definitely not an open book. I try to maintain a layer of separation because while I may be putting myself out there for the world to see, my family isn’t. Where’s the line? I don’t really know. I’m playing it by ear and weighing each personal post as they come, in fact have two in my queue that may never be published. It sounds like you made the right decision for you. Kudos. Oh, I would talk all day about politics and religion. So why did I think I should do it here? All I can say is much gratitude to the people who helped me think this through. I’m going to second Leanne here – there are many, many things that I *could* post and I spend hours crafting only to NOT hit publish, because sometimes I just need to write it out, not have the world know. There are indeed layers to me and to what I put out there. And so, while I was looking forward to the big scary post – I think this one took immense courage, too. So, bravo, my friend. I’m sorry to let you down, Lizzie. But no, it wouldn’t have been in my best interest. And if you really want to know what it was about email me, and I’ll tell you the gist in one or two words. I understand why you made the decision not to share whatever it was. And I respect and admire your restraint. It is easy to get comfortable sharing bits and pieces of yourself online…too easy. Knowing what to leave in and what to leave out is one of life’s great mysteries. Katie: I have often felt like we would get along well in real life. I hope we get to meet one of these days. The Japanese have a saying that goes something like this. A man has three faces: the one he shows to the public, the one he shows to his family and friends, and the one he shows to himself. I think it is a wise saying. But, then, I hang out with spooks. As Catie says, it’s too easy to become overexposed online. I also applaud and admire your restraint. Piper, of course I would put a naked picture of myself on my blog. I’m hawt. That said, I need to thank you, too. Because you were a voice in the choir, too. And you raised an early warning that got me thinking. And so did my writing partner, El. So I’m glad I ran the question past Kristen because your instincts were spot on. And I’m sorry I didn’t thank you publicly here. I didn’t clear things with you. But I’m thanking you now. You are a smarticle particle. I’m sooo happy you have my email address you you can stop me from doing stupid things. Yes, the internet does change things, doesn’t it? Well, thank you for everything. You are truly wonderful. My husband planted many seeds. You chimed in and made me reconsider the bigger picture. And them of course, Kristen appeared to save me from crashing and burning. omgggggg Renee. You are a tease and I love it. (LOL I know you’re not trying to be.) Tell me where I can get my hands on this shiny piece of writing. Please. I’ll make you a gift basket. This is an AMAZING question. I say about, er, 15% of the things I want to on my blog because I don’t want to offend anyone, and/or there’s no way I can possibly relate it to guilty pleasures. (Having said that, most of my life CAN be tied to guilty pleasures, hence the theme – it’s the only thing I think I could ever write about consistently!) I’m an open book in a lot of ways, but there are definitely some things I would never publish! Definitely will not write about anything – for public consumption, that is! In my own, old-style, private journal – *maybe* I’ll write about anything. I worry some day when my kids find my notebooks they’ll think mom was a real headcase! Plus, if others read what I wrote/write – how hurtful. So – some thing I “edit” by running them through the shredder. Online – I try to be careful what I post, and some opinions and thoughts and anecdotes are best not shared (to protect the not so innocent, in some cases). Doesn’t mean you’re weak, or a wimp – or a gutless wonder. Just means you are sensitive to the needs or expectations of your reading public, and of yourself. Good job! I struggle with this myself. As someone commented (Kristen?) our blogs are our brands – they have a voice that people come to expect. I try to be true to that. I struggle more with this when I visit others’ blogs. If someone “does” politics and religion, you know what you’re getting. But sometimes I am caught up short by how offensive people (whose work I generally admire) can be on these topics. Can’t reasonable people disagree without calling one another names? Often I have to back quietly out of their blog without comment. If I can’t think of anything nice to say, I say nothing. As others have said, if you have serious doubts about what to post, I think you were smart to leave it off. I hit political stuff all the time, and I upset a lot of people. It’s part of what I am. That said, there are limits to what I post. I stay within those limits. You have to. It depends on whether the book selling trumps the truth telling. I agree that repeatedly bludgeoning a general readership over the head with partisan opinions may alienate them. It may also be counterproductive and downright boring. All bad for a writer. And for anyone. But sharing a sincerely held view with readers – revealing that aspect of your character every now and then – that’s different. However, if you have something to say that you think it is important for people to hear, then you have a judgement to make. Am I willing to accept the consequences? If the answer is yes – then press Post Comment. Sometimes payiing that price is less costly in the long run – in self-respect and character. Of course – I have no idea what you were thinking of talking about – whether I’d have agreed or disagreed. But I know other people of integrity with whom I disagree. Other people I like, but disagree with on some issues. I still like them. Or more importantly, I still respect their integrity. But hey – life is risk. And you’re the judge of you. And I respect your judgement (as long as it’s favourable – I’m a biased jury). Hi Paul! I would have written the same comment on someone else’s post. Exactly. Then I might have read the post and thoght: Wait, he LIKES X and is promoting X on his blog? I can’t follow this guy any more. Holy cow. Because some issues are divisive like that. I still have the piece, and I am shopping for a place where it might be able to land in cyberspace. Just not everything needs to go on the blog. Especially since we work so hard to develop our readership, why would I want to (potentially) destroy everything with one post? Not worth it to me. That said, there are certain bloggers I’d never leave. And you are most certainly one of them: you are one of my original Internet friends. Where would I be without you?